Its been weeks since the last RR post. To make it up for the long wait, today i will share more links than the usual. 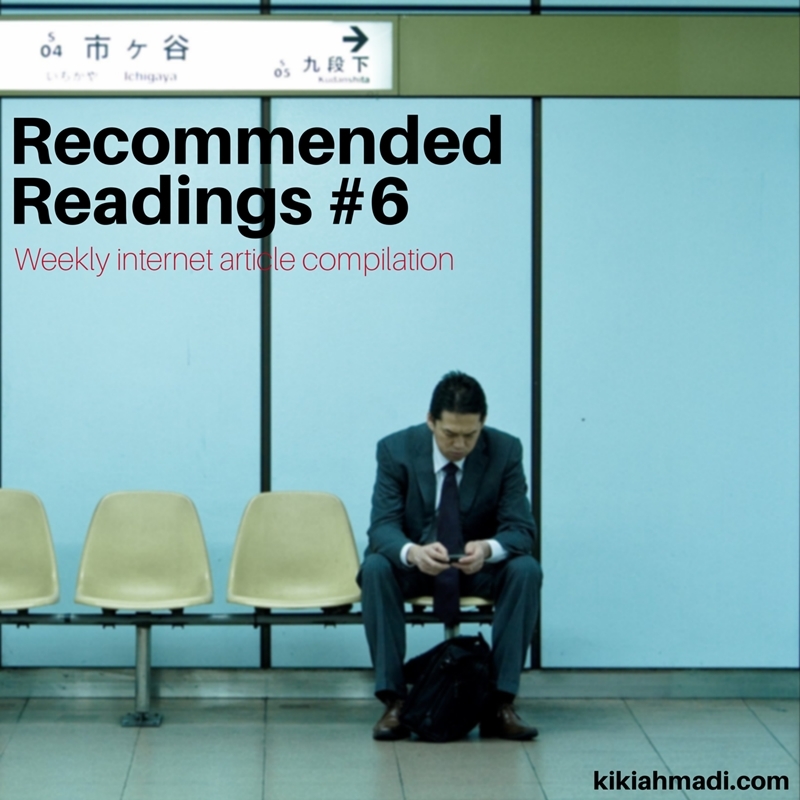 From the hidden truth of being tech journal to ideas to improve revenue sharing model in music streaming, enjoy this latest episode of Recommended Readings. Famously known for his Steve Jobs biography book, prolific biographer Walter Issacson come back again this year with new book: The Innovators. In this article, Walters talk about how internet revolution was brought not by brilliance of lone genius but by series of collaboration between many innovators. I havent read his book yet but this article successfully lengthen my Amazon wishlist. Bekah Grant was a former tech writer in VentureBeat. In this post, she gave a glimpse of the stressful life of tech journalist. Apart from non stop race to crank out page views by churning articles as much as possible, Tech Journo need to deal with constant interuption from startup founders, PR and professional jerks. This articles serves as a guide for how not to treat tech journalist if you need their help to spread your story. Chinese smartphone manufacturer Xiaomi are taking the world by storm. The so called Apple from China had a series of homerun streak this year, from getting a stellar review in ArsTechnica and rising to be third largest global smartphone maker. So what are the secrets of their stellar success ? HBR explained how Xiami disrupted smartphone industry using low price and limited availability strategy. I learned the fundamental difference of Sales and Marketing from this article. Jessica Livingstone, founding partner of Y Combinator, explains Marketing as Broad-and-Shallow while Sales is Narrow-and-deep. With limited capital and its small scale, startup should always do Narrow and Deep. Insightful yet easy to digest, a must read article. Freelance UX designer Erik Kennedy Tips has personal mission to make UI design accessible for all people not just art school graduates. Based on his experience, he broke down seven easy-to-understand methods to create good looking UI. Every tips has an image example so you can see clearly how the methods works. For me the most useful one is method no 5, text overlaying over images. Simple tweak but the result is amazing. So gonna use that from now on. Spotify were under scrutiny recently after Taylor Swift removed all of his albums due to unfair royalties to the musician. Previously, Radiohead frontman Thom Yorke also vented the same complain. Sharyky Laguana from Cuepoint offer his idea to improve royalty sharing within current spotify model. Detailed explanation on Spotify music streaming business model are given in the article.